dance.net - white and rose print ballroom dress for sale!!!!!!! (10153067) - Read article: Ballet, Jazz, Modern, Hip Hop, Tap, Irish, Disco, Twirling, Cheer: Photos, Chat, Games, Jobs, Events! white and rose print ballroom dress for sale!!!!!!! Beautiful white and rose print ballroom dress with stone detail. Only worn a couple of times so in great condition! Would fit a UK size 6-10. 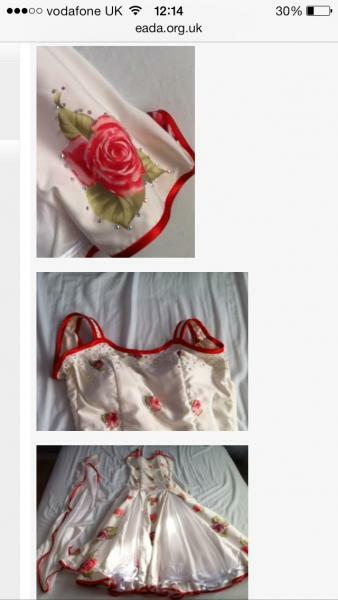 Price Ã�Â£100 although open to offers!!!! !